Learning Game Design: a 21st Century Liberal Education in Action? This presentation suggests that designing and building digital games teaches essential 21st century skills. When learning game design is informed by the aims and aspirations of initiatives such as serious games, games for change, games for health or games for teaching and learning students can be better prepared to compete in the global economy and to contribute to society as responsible citizens. The American Association of Colleges & Universities (AAC&U) both defines what is a liberal education and articulates a set of “Essential Learning Outcomes (ELO’s)” 1 that can be achieved through a liberal education. Designing and building games employs many if not most of these essential 21st Century skills that contribute to the ELO’s. 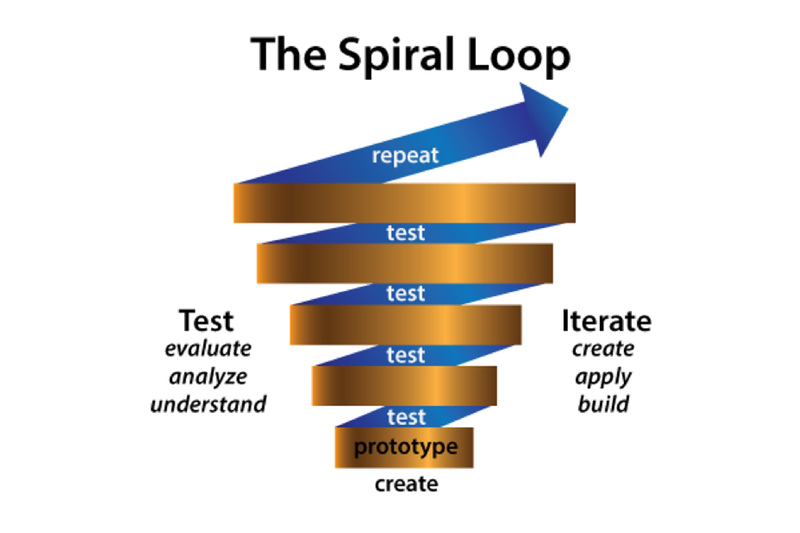 Teaching and learning game design is a liberal education in action. 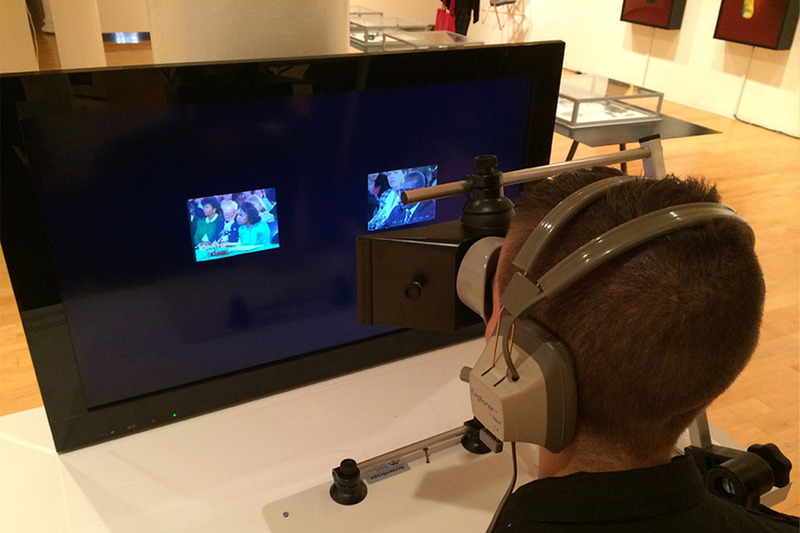 The Split Brain Dichoptic Interface was part of the exhibition Sleuthing the Mind curated by Ellen Levy at Pratt Manhattan Gallery in 2014. By means of a handheld stereoscope, the viewer watches the proceedings of the 1991 Senate Judiciary Hearings on the Nomination of Clarence Thomas to the Supreme Court. The stereoscope delivers the video testimony of Anita Hill only to the viewer’s left hemisphere while the right hemisphere only sees the video testimony of Clarence Thomas rebutting the accusations of harassment. This “he said, she said” drama delivered to a ‘split-brain’ induces artificial cognitive dissonance leaving the whole brain to decide who is telling the truth.